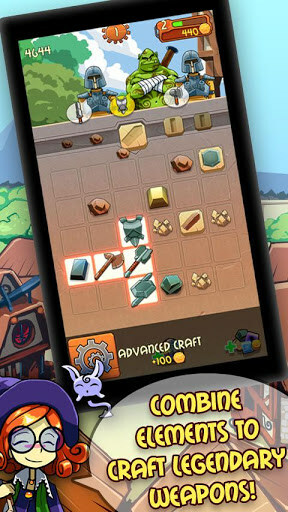 Puzzle Forge – Games for Android 2018 – Free download. 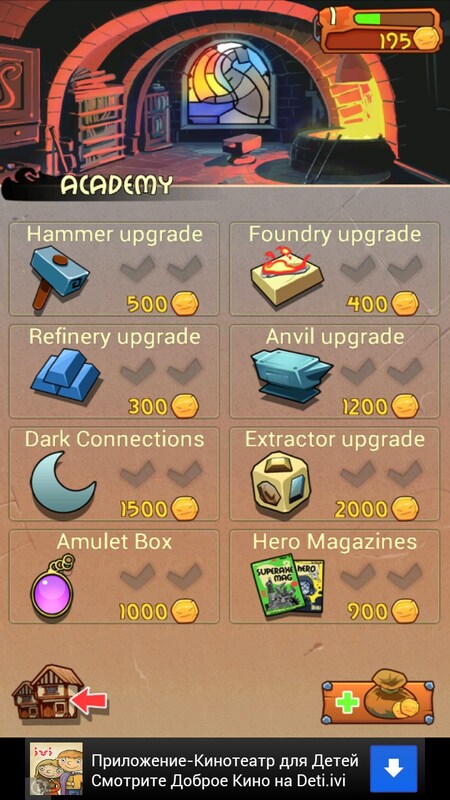 Puzzle Forge – Make weapons for famous warriors. 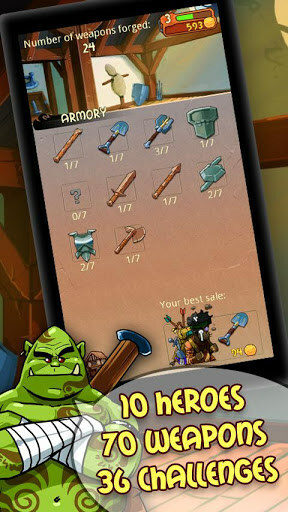 Puzzle Forge - is a fun parody puzzle game for Android, in which we will create a variety of different weapons for soldiers. We will meet with noble knights, powerful dwarves, elves fast, orcs and other representatives of fantasy stories and movies. 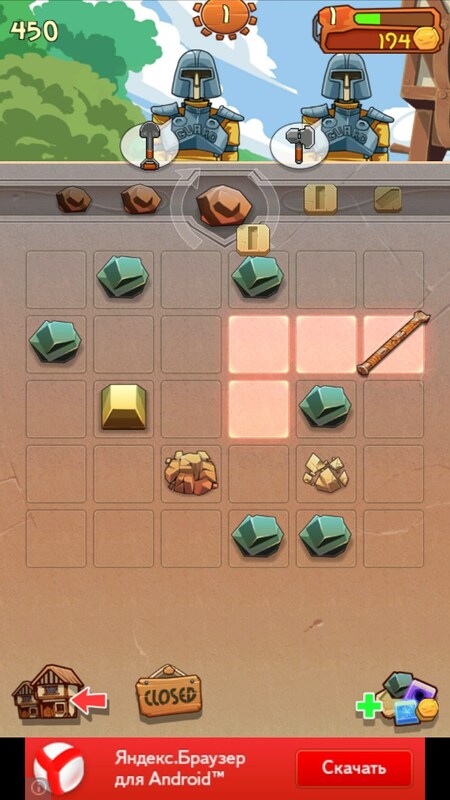 Game development studio is engaged Tuesday Quest, specializing in various puzzles. Game from the first frame is very happy and bright picture quality, as well as funny characters and a large set of humor in every detail. 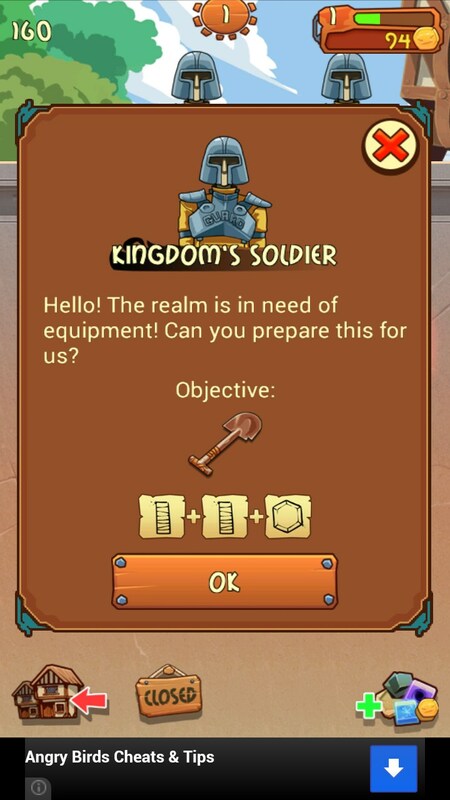 The idea of ​​the game is very simple: we are approached with a request to make heroes of weapons, and we have to look at the recipe and pick up the necessary materials for it. Only the complexity is to arrange the materials near the playing field. To create a variety of materials, it is necessary to lay out the playing field, harvesting and combine them with three side by side. 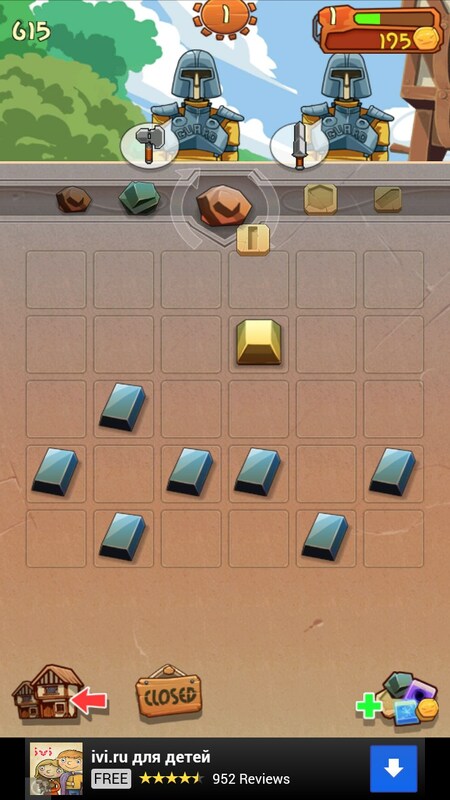 For example, if you put three pieces of silver next, you get a gold ingot, and it is formed in that cell, where you set up the last piece of silver. To find a recipe, please click on the icon on top of weapons. Usually weapons need some spare parts and materials. To create the required spare parts necessary to switch the mode on the mode of occurrence of material of manufacture of spare parts and place them next to the already established metals. The better you pick up the position, the higher the probability of a piece. Otherwise, instead of the items you will get pieces of stone that are useless and only take up valuable space. Many hours of continuous gameplay. 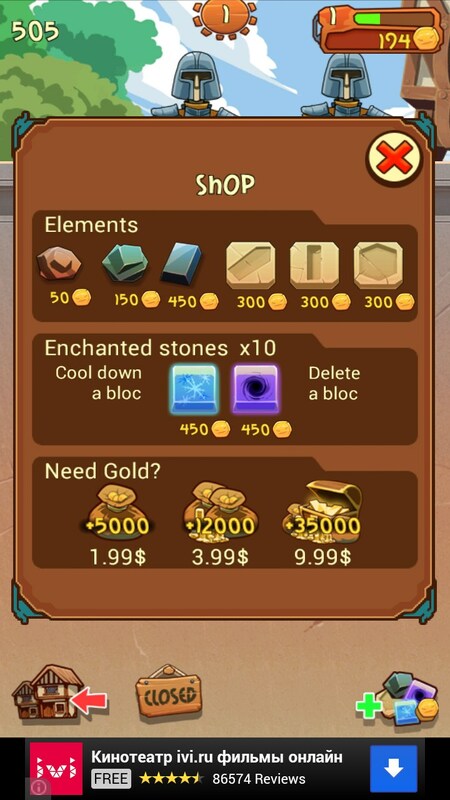 The disadvantages of the game include the relatively high complexity and the fact that all the bonuses you can get just by investing real money, so very high prices. Summary. 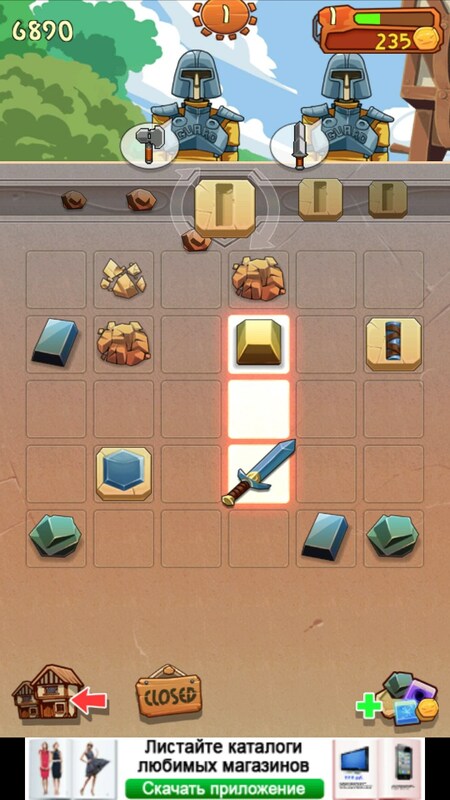 Tuesday Quest - a quality puzzle game for Android, which will appeal to all fans of the genre of "three in a row." 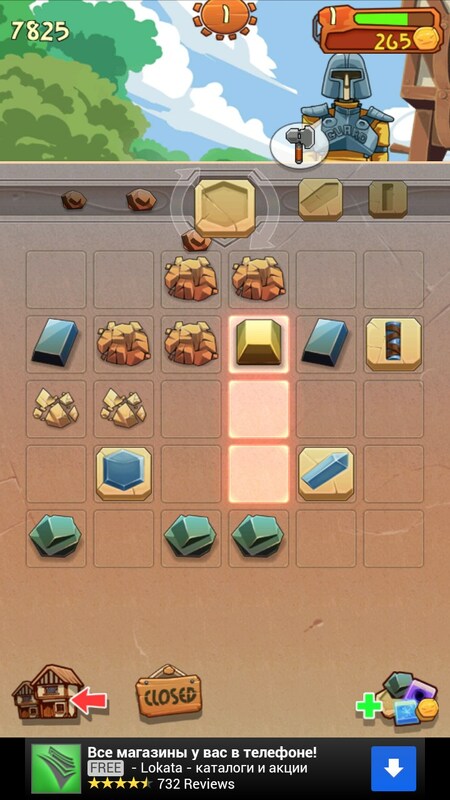 The game is able to captivate for hours and even days, and the gameplay is not boring. 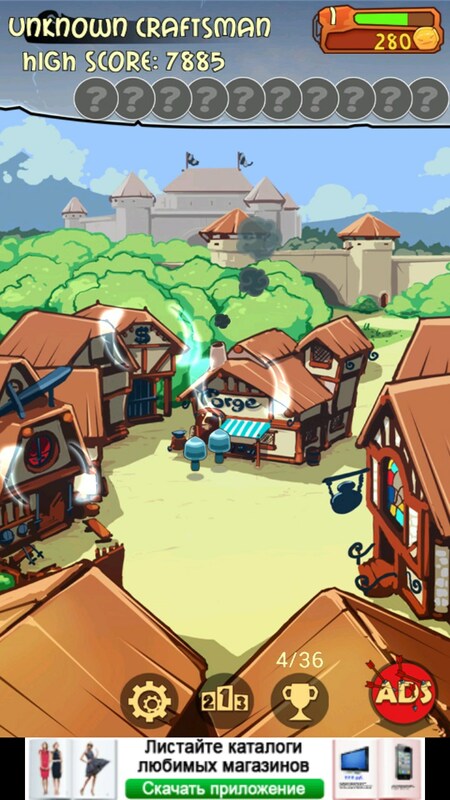 If you enjoy the game, be sure to pay attention to a similar game Triple Town , which has already been downloaded by tens of millions of people.